Mountain Resource Center is a nonprofit, community-based organization that delivers high quality, integrated health and human services within a 1000+ square mile mountain area. Serving a population of over 65,000 in West Jefferson, Clear Creek, Gilpin and Park counties, Mountain Resource Center’s model of integrated services allows clients to enter through any ‘door’ of service and access all agency resources. To learn more about our services, please follow this link to Services. The experienced, professional staff helps individuals and families connect with the services they need to achieve their potential, meet challenges and regain self-sufficiency. 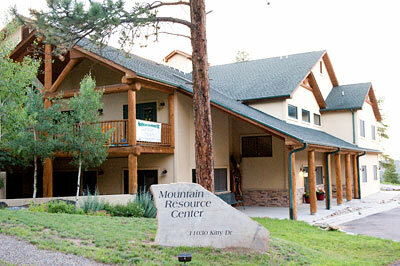 Mountain Resource Center delivers all services free of charge and open to all community members. Our success is made possible through the generous donations of foundations and individuals, as well as the volunteer support of almost 300 individuals providing 13,249 hours of service annually. Mountain Resource Center is well known for its Food Pantry, Basic Needs Services, Disaster Relief, and Resale Store. The services we provide to the community include Family Education, Workforce and Adult Education, Financial Coaching, Veteran Services, and Public Benefits Assistance. 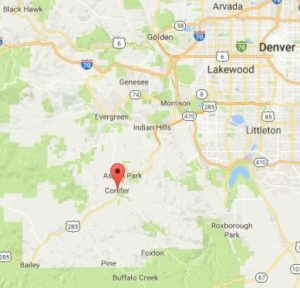 Founded in 1990 to provide services to meet the unique needs of people living in the foothills west of Denver, Mountain Resource Center has grown rapidly over the years. The founders understood that the geography of poverty is distinctly different in our service area, exacerbated by isolation, severe weather conditions, the scarcity of local jobs, inadequate low-income housing and limited public transportation. Mountain Resource Center continues to alleviate the effects of hidden poverty that touches the lives of residents in some of the most rugged and rustic areas in the state – reaching out to help people at all socioeconomic levels when emergencies or unemployment create a crisis. For more than 29 years, Mountain Resource Center has helped community members access needed services in attaining its vision of Inspiring Hope, Resilience & Independence.